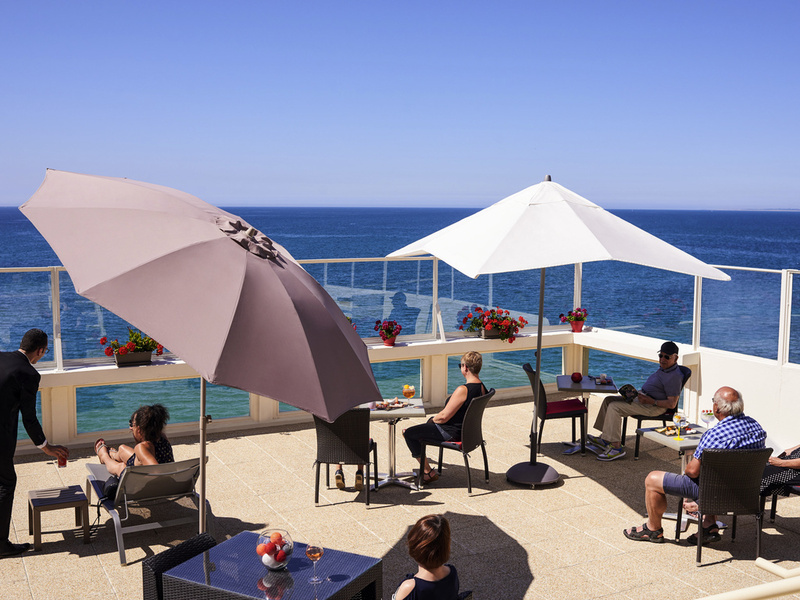 Just 15 minutes from the station and with the Casino and the Christian Dior Museum close by, the Mercure Granville Le Grand Large hotel is located in the very heart of Granville, right on the cliffs overlooking the sea and the Chausey islands. The hotel offers contemporary, air-conditioned rooms. After a busy day of meetings or family activities, come and relax on our terrace and sun lounge, taking in the breathtaking views over the countryside. The attractions of Granville include its spectacular coastline, museums, Mont St Michel bay, boat trips to the islands of Chausey, Jersey and Guernsey, all of which are easily accessible from the dramatic clifftop setting of this Mercure hotel. According to your wishes, choose from the different available categories: Standard room with double bed or two single beds or Duplex room to enjoy alone, as a couple, or with friends or family. Give yourself a moment of relaxation in our rooms or duplex privileges. How would you like to spend a special moment overlooking the sea? Unwind with a glass of wine in front of the fire or enjoy a seafood platter on our terrace with sea views? A true moment of relaxation awaits. Cozy atmosphere guaranteed.